Business: Qwest is now CenturyLink, a provider of Telephone Service, Broadband, SIP Trunking, TDM, Call Center Solutions, MPLS and Data for business and consumers. Market: Customers range from residents in rural areas to Fortune 500 companies. How big is it? With its recent acquisition of Qwest, CenturyLink now is the third-largest telecommunications company in the United States, operating in 37 states and some international markets. Only AT&T and Verizon Communications are bigger. Address: CenturyLink is based in Monroe, La. Century Link is keeping its headquarters in Louisiana. The former Qwest headquarters in Denver are now one of six regional headquarters for Century Link and the overall headquarters for its business services division. Owner: CenturyLink is a public corporation owned by its shareholders. History: Although the company roots date back to rural Louisiana in the 1930s, the company officially was founded as Central Telephone & Electronics Corp. in 1968. It later changed its name to Century Telephone Enterprises, then CenturyTel, then CenturyLink in 2010. The big buy: CenturyLink Inc. acquired Qwest Communications for $12.2 billion. The big switch: Last week, the Qwest brand was retired as CenturyLink began replacing the Qwest logo on buildings, vehicles and employee uniforms. Impact on customers: Except for seeing the CenturyLink logo on their bills from now on, there should be little impact on customers. Customers still should do business through the former Qwest retail outlets and contact their service providers as they usually do, said Carrie Amann, a CenturyLink spokeswoman. Customers can expect to see competitive pricing for SIP Trunking and related services. ECTtelecom is a Master Agent for CenturyLink. For more information about our CenturyLink SIP Trunking and other services contact today an ECTtelecom specialist at U.S. Toll Free 800-664-3071, or International 850-936-5887. Please visit our website at http://www.ecttelecom.com – For a no obligation quote CLICK HERE. ECTtelecom is one of the leading providers of Business Process Outsourcing (BPO) services to call centers, covering more than 110 countries with networks that supports a portfolio of integrated global communications solutions based on the latest IP, SIP Trunking, call center solutions, fiber and satellite transmission technologies. We serve the voice and data needs of multinational enterprises, along with the operational requirements of service providers, from centers in the US, Hong Kong, London in the UK and Dubai in the UAE, as well as via teams covering the Middle East, Africa, Europe, Asia and the Americas. Our services for our BPO clients are designed to deliver improved SIP Trunking voice quality, improve operational efficiencies for our cloud call centers. Our Outsourcing SIP Trunking Outbound and Inbound Toll Free services offer the best rates available from major service carriers. SIP Trunking has become the most popular voice communication worldwide in the VoIP family. Actually, SIP has been around for about 10 years, but in the last two years SIP Trunking VoIP has become a viable and cost saving replacement of TDM Long Distance Service. ECTtelecom as a successful master agent of Global Crossing were first in the deployment of SIP Trunking when all the other major USA carriers were having great difficulty in the provisioning SIP Trunking. Today SIP technology is common with most major carriers and resellers. Most people think SIP Trunking is the same as VoIP, but it is much more than that. 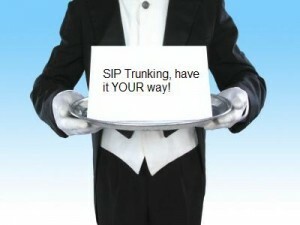 A SIP Trunk can be thought of as a telephone line through which calls are made and delivered over an IP trunk towards a provider PSTN through broadband or Ethernet. SIP Trunks can facilitate more than voice. It can convert services such as data, video, chat, instant messaging, e-mail, simultaneous calls on the same trunk, video or audio conferencing, toll free numbers, call center management and businesses. About 490,000 results (in 0.20 seconds, for what it’s worth) – that’s the number of results from “Guru Google” when asked to return information from the search, “What is SIP Trunking?” As you might guess, there are many different definitions of SIP (Session Initiation Protocol) Trunking freely available on the Internet. Regardless of the definition that you subscribe to, enterprise cost-savings MUST be at the heart of the definition. SIP Trunking is a solution in VoIP communications by allowing a concurrent call(s) to pass over a SIP Service Provider’s IP backbone using SIP technology. I was asked to pontificate with a few colleagues to explain Global Crossing’s definition of SIP Trunking. In this first part of the “SIP Trunking Series with Global Crossing”, I explain what SIP Trunking is and the evolutionary path that got us to SIP Trunking. ECTtelecom is a master agent for Global Crossing. For more information about Global Crossing services, a free inContact webinar demo, more information about the inContact Cloud Based Call Center Solutions, SIP Trunking, TDM, Outbound Termination, Inbound Toll Free Termination, Hosted PBX, Hosted Predictive Dialers, MPLS, Private Line, Internet T1, E1, DS3, OCX, Fixed Wireless, Ethernet, and Satellite contact an ECTtelecom specialist today at U.S. Toll Free 800-664-3071 or International 850-936-5887. For a no obligation quote CLICK HERE. It’s always been common sense that if you switch from a premise-based solution to the cloud, the savings (both in dollars and time) is substantial. However, a new TCO report comparing premise to hosted contact center software from Frost & Sullivan shows that not only is that assumption correct, but the savings get better and bigger the larger the contact center and the more solutions being used. It’s always been thought that enterprise contact centers couldn’t benefit from a hosted solution. However, the study shows that over 5 years, a 500 seat contact center using full-function cloud solutions could save 43%. That’s no small amount, no matter how you slice the numbers. • Hosted contact center services significantly reduce TCO over premise-based systems in both three- and five-year scenarios for all 12 of the configurations analyzed. • The larger the contact center, the higher the savings with the hosted model. Over five years 100 seat centers averaged 23% savings, 250 seat centers averaged 34% savings , and 500 seat centers averaged 43% savings. 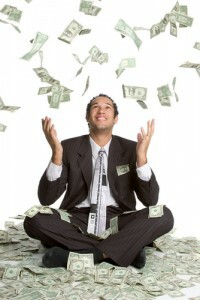 • The more contact center applications hosted in the cloud, the more money saved. In a 100-seat contact center, for example, the five-year savings jumps from 9% for a hosted ACD to 23% for a full-function, nine-application hosted system. All of the study’s TCO calculations take into account the costs of systems and applications, implementation, maintenance and upgrades, and hosted per-agent, per-month fees. After seeing the numbers, and considering that with the cloud, you’re always running the most current version of the software, I guess the only question left to explore is why a company wouldn’t switch. You can read the full report by sending an e-mail to info@ecttelecom.com. In the Subject area type in the words “Save Up to 40% with the Cloud”. For a free inContact webinar demo, more information about the inContact Cloud Based Call Center Solutions, SIP Trunking, TDM, Outbound Termination, Inbound Toll Free Termination, Hosted PBX, Hosted Predictive Dialers, MPLS, Private Line, Internet T1, E1, DS3, OCX, Fixed Wireless, Ethernet, and Satellite contact an ECTtelecom specialist today at U.S. Toll Free 800-664-3071 or International 850-936-5887. For a no obligation quote CLICK HERE.